Lower-than-expected job growth data released by the US Department of Labor on Friday has stunned markets which had been expecting sustained new employment figures this year. The August figures show non-farm payroll growth of just 142,000 – far below the 200,000+ new jobs created by the US economy every month since February. Markets had anticipated 225,000 new jobs created in August. 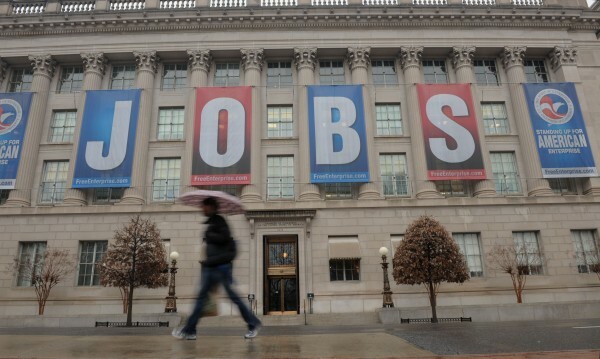 Department of Labor data also showed 134,000 new jobs created in the private sector. While some analysts said the August data was a major setback and could stall the Federal Reserve’s prospective plans to raise interest rates in early 2015, others said the low figures are but a minor bump as the US economy stabilizes toward continued growth following an otherwise robust summer. Other statistics may bear that out. The US unemployment rate fell from 6.2 to 6.1 per cent in August, the Labor Department said – that’s a more than 1 per cent drop since the same period last year. There was also good news regarding GDP growth. Following a depressing first quarter this year in which the economy shrank at an annual rate of 1 per cent due to harsh wintry weather (nicknamed the ‘Winter Chill’), revised data indicated that second quarter growth was at 4.2 per cent. Overall, the first two quarters combined have shown consumer confidence strengthening, the housing sector growing and US manufacturing activity rebounding to record highs in the past 42 months. The positive data over the past year has supported the Federal Reserve’s continued tapering of its monthly bond buy-back program (known as quantitative easing – QE) by $10-billion increments. The fund has been cut from $85 to $35 billion in recent months and is expected to be fully tapered by the end of this year. Although it sees evidence that the US economy pulled out of an economic slowdown nicknamed “the winter chill”, the Fed has cautioned that the recovery from recession created by a financial crisis since 2008 is slow.